This patient presented for treatment of #30 in March 2009. 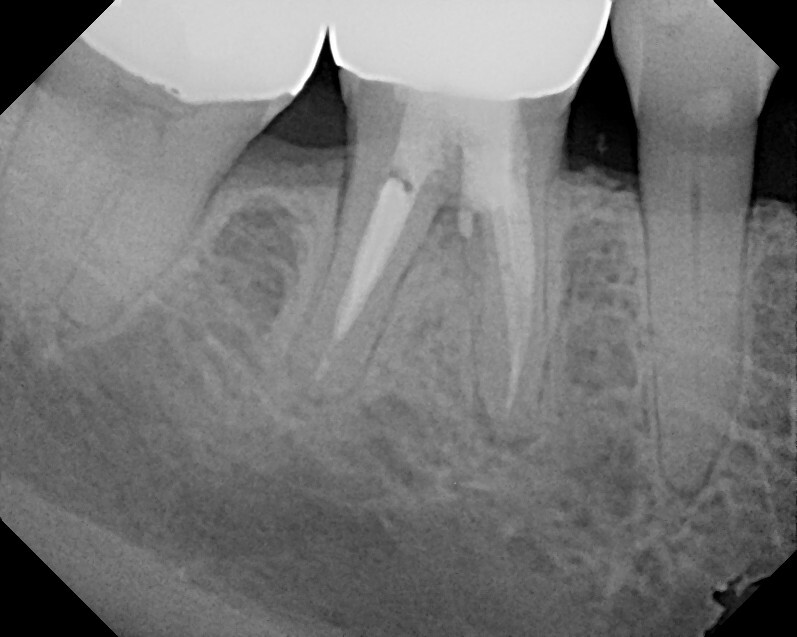 Prior RCT had been done and a large furcal lesion as well as periapical lesion were noted. Retreatment was recommended. 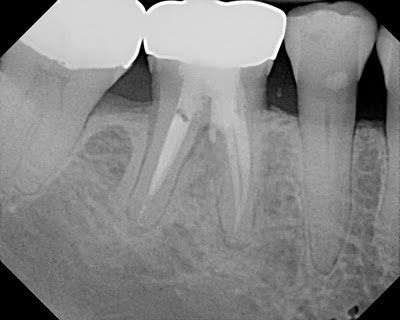 Upon access, we found 2 additional canals as well as a furcal perforation. The tooth was obturated and perforation was repaired using MTA. Post-Op films shows the MTA repair in the furcal area. Note the large lesion around the mesial root. At 6 months, furcal and periapical lesion are improving and the tooth is functional. At 18 months, the lesion continues to improve, tooth is completely asymptomatic and functional. 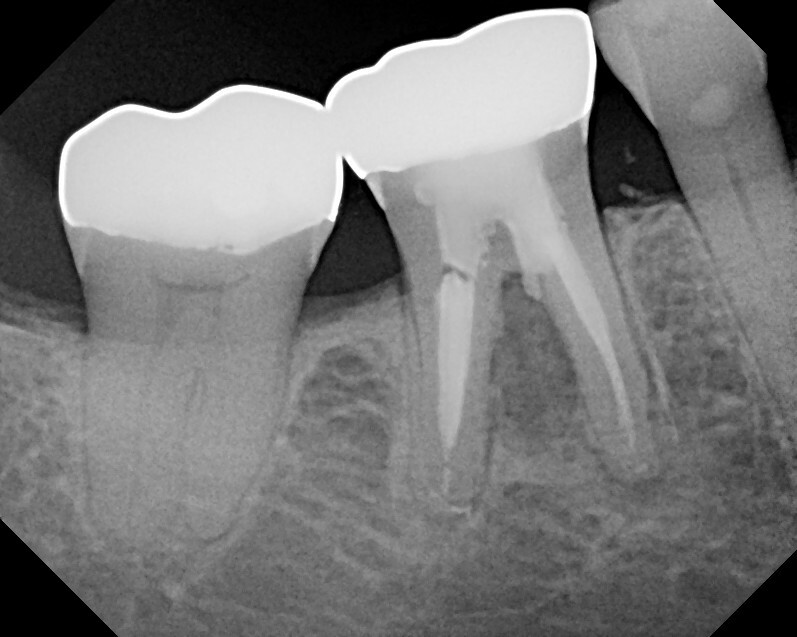 Proper endodontic treatment and repair with MTA has retained a tooth that many would have considered "hopeless" or non-restorable based on the amount of furcal bone loss. I see that there is a slight overfill of MTA into the furcation. The radiolucency seems to have resolved despite this. I too have overfilled cases with MTA (with perforation repairs and apexification cases). I don't have any follow-up radiographs to evaluate healing at this point, but am glad to see that healing can occur despite the slight overfill. Thanks for sharing this great case! That is a good point. 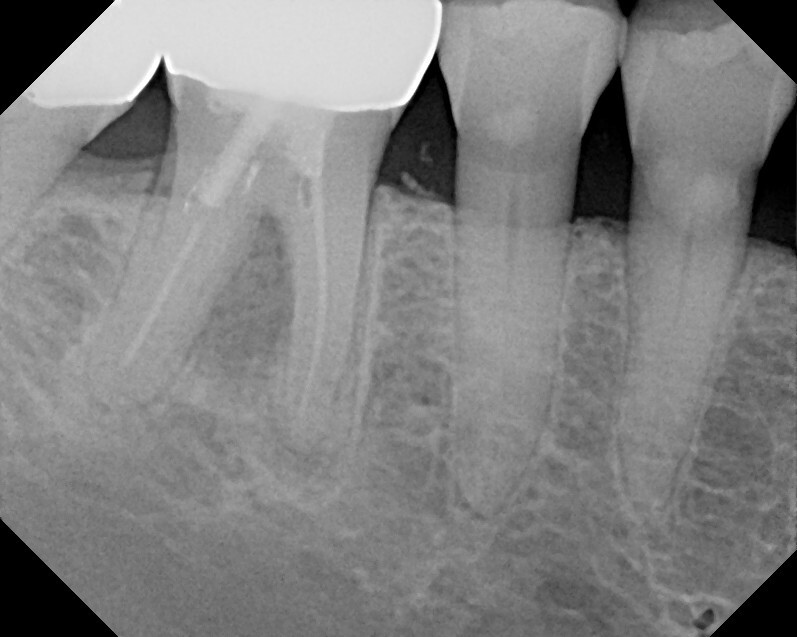 I have not had any issues with overfill of MTA in a perforation repair such as this. Anyone who has used MTA to repair this kind of perforation knows that we really are placing the MTA right against the periodontal ligament. 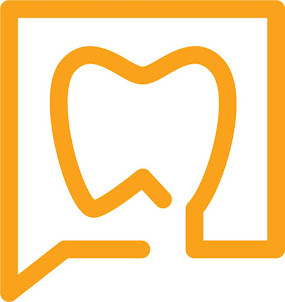 Your Blog has been awarded the Best Blog Award, December 2010, by Dental Resource Directory! If you would like a badge/widget for your blog with this award, email me and I'll send you an embed code.